Conversations about the social safety net are often highly charged and polarized. However, this narrow dialogue misses the larger questions that we as a society have a responsibility to address: How do we define human flourishing? What is the proper role of government and civil society in serving the vulnerable? What is our responsibility as citizens? These questions served as the inspiration for the 2018 Shared Justice Student-Faculty Research Prize, which culminated in a series of three reports titled Reframing the Safety Net. American families are more racially and ethnically diverse than ever before. With a diversifying population comes a shift in the makeup of those in need of social services. D’aoust and Castaneda researched the importance of culturally competent safety net programs, looking specifically at the Special Supplemental Nutrition Program for Women, Infants, and Children (WIC) program. WIC is designed to support families by meeting the needs of women who are pregnant or have recently given birth, as well as the needs of their young children. Participants come from a variety of cultural backgrounds, many of whom may have varying values as it relates to diet, nutritious food, and breastfeeding. D'Aoust and Castaneda provide recommendations for designing a more culturally competent WIC program, as well as recommendations for how civil society institutions can participate in supporting families. Housing has long been included in the collection of public assistance programs that are designed to aid individuals and families in times of need. 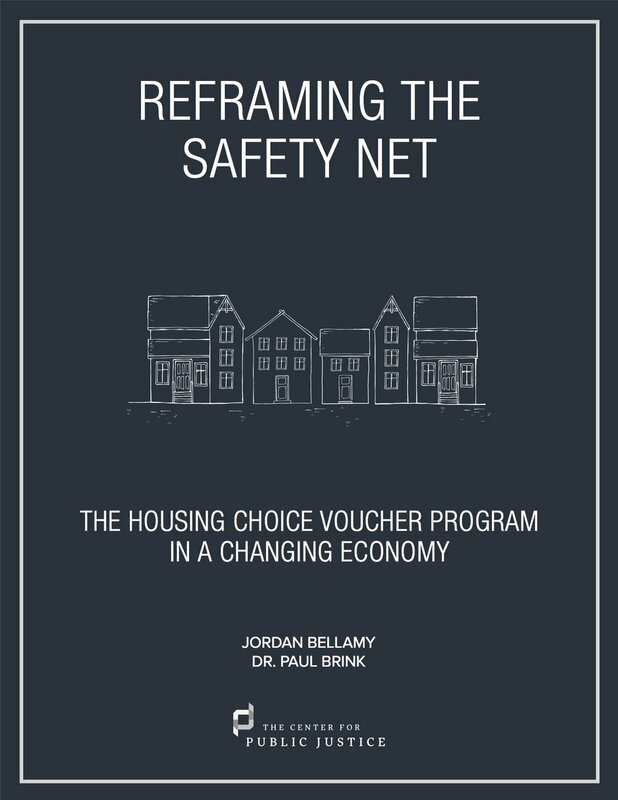 Bellamy and Brink focused their research on the Housing Choice Voucher Program, which allows individuals and families to participate in the private housing market using vouchers. However, in many communities rent prices have increased far faster than the value of the vouchers. Even with vouchers in hand, housing options remain inaccessible for many. Bellamy and Brink examine the issue within a federal, state, and local context and make policy recommendations for ensuring that families have access to affordable housing in their communities. This report invites readers to consider how refugees interact with the social safety net in the United States. Looking specifically at the Special Supplemental Nutrition Program for Women, Infants, and Children (WIC) program, Miller and Taylor explore the barriers that many refugee families face in accessing the program and the ways in which government and civil society should respond. Miller and Taylor present a framework for understanding the ways in which government and civil society institutions can contribute to the flourishing of refugee families. The Shared Justice Student-Faculty Research Prize awarded three student-faculty pairs from Council for Christian Colleges and Universities (CCCU) institutions with funding to conduct research on the social safety net. Students researched a federal safety net program and explored the program's impact in their local community. This semester-long research project culminated in three policy reports that together form the Reframing the Safety Net series.